Many wholesale property investors in San Antonio and other areas are big into flipping properties for wealth building. It is true that flipping houses in San Antonio can be profitable, and I sometimes do San Antonio property flips. However, the majority of my wealth building over time as a San Antonio real estate investor has been with San Antonio buy and hold property. 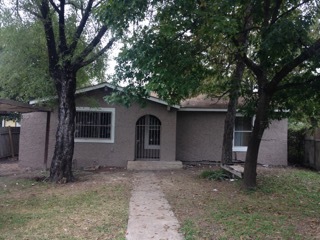 This buy and hold property makes the investor in San Antonio 13% per year. I always try to buy wholesale properties in San Antonio that produce 12-15% ROI per year, either through renting or owner finance. I also like to buy under market value San Antonio properties on the edges of neighborhoods that have houses worth $300,000 or more. The interesting thing about San Antonio wholesale property is that you can find $60,000 under market value fixer uppers just a few streets away from much more expensive properties. Those are the areas I target. #2 Do the Numbers Make Sense? Cash flow truly is king in buy and hold investment properties. You need to carefully determine how much you keep every month after you pay all expenses. Many wholesale property investors buy and hold rental properties, and I have done some of that. However, I like to buy my under market value properties in cash, and then owner finance them. The advantage to this type of buy and hold property investing is that the buyer of the house maintains it, and I just carry the mortgage on San Antonio real estate investment. If you are doing buy and hold rental properties with a mortgage, really make sure that you are going to see positive cash flow, after all expenses, vacancies and repairs. If you are just barely paying the mortgage when you are fully rented and you have no major repair expenses, trouble awaits! The biggest reason many buy and hold investors lose money is that they pay too much for the house. You MUST buy the house under market value to produce cash flow. You want to buy a San Antonio buy and hold property at least 20% under market value. My investor paid 30% under market value for this house and now makes 16%. I buy and hold properties with owner financing, so I don’t have many tenants. But if you do rental properties, you have to very carefully screen tenants. You also can hire a property management company to handle your tenant screening and property repairs. Of course, many buy and hold investors lose money here…..they pay too much for property management and they have no cash flow. Once again, this is where I recommend as a san antonio real estate investor buying properties in cash and owner financing them.